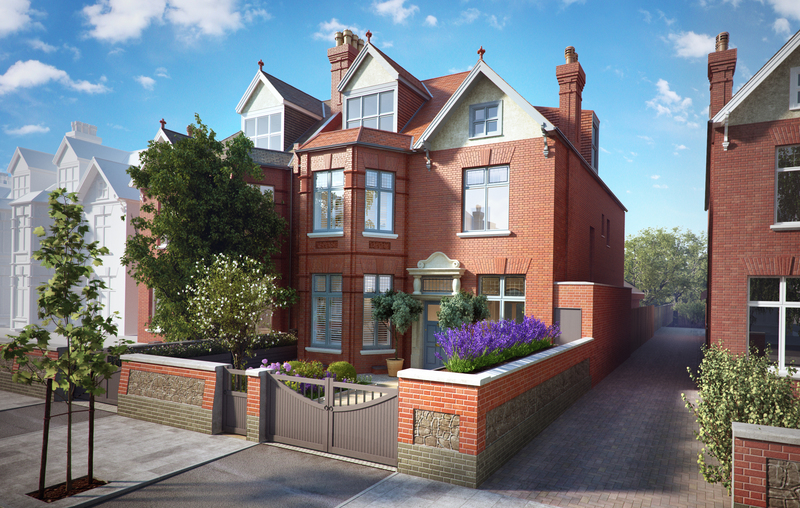 London Architect Peter Mishcon certainly knows how to get the most out of our images and animations. 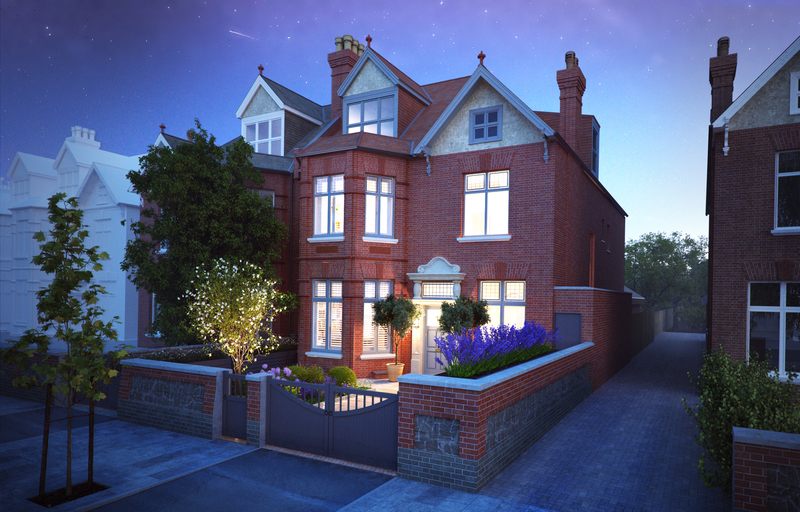 We started off by creating images for the front garden and driveway of this house, to communicate the design for the successful planning application. After this our images were used for regular client presentations, often showing multiple options for the finishes, allowing the client to easily compare and reach a decision. 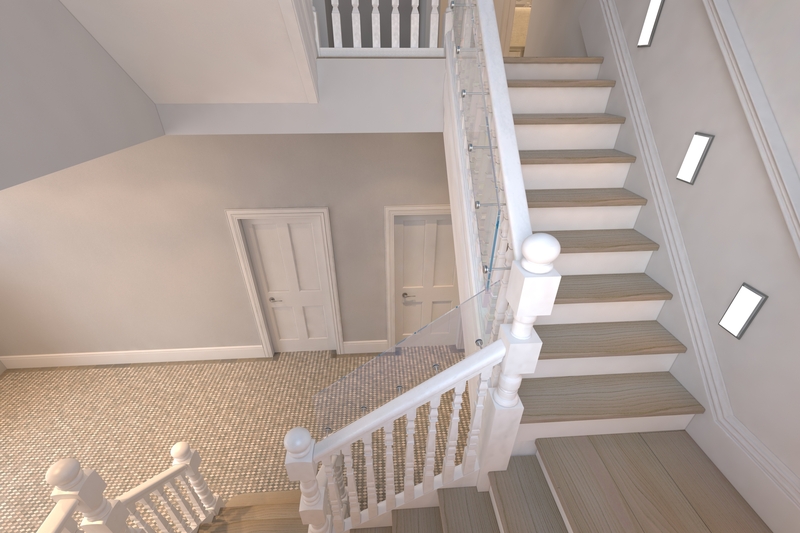 At the same time Peter used them to test different design details, such as the glass balustrade for the staircase. 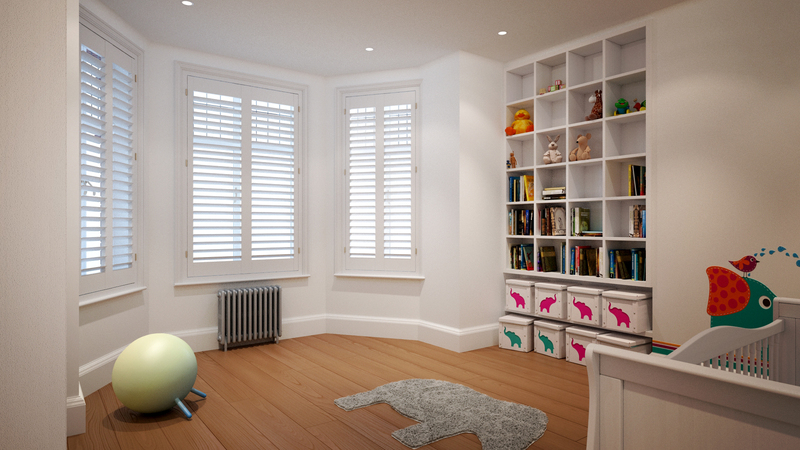 After all the decisions had been made and the client had signed off the design, Peter decided to give his client a present, in the form of a walkthrough animation showing all the rooms we had worked on. We’d already created the 3d model, so animating it wasn’t such a great cost in comparison – and his client was delighted. This was our longest running project to date, lasting more than 2 years. 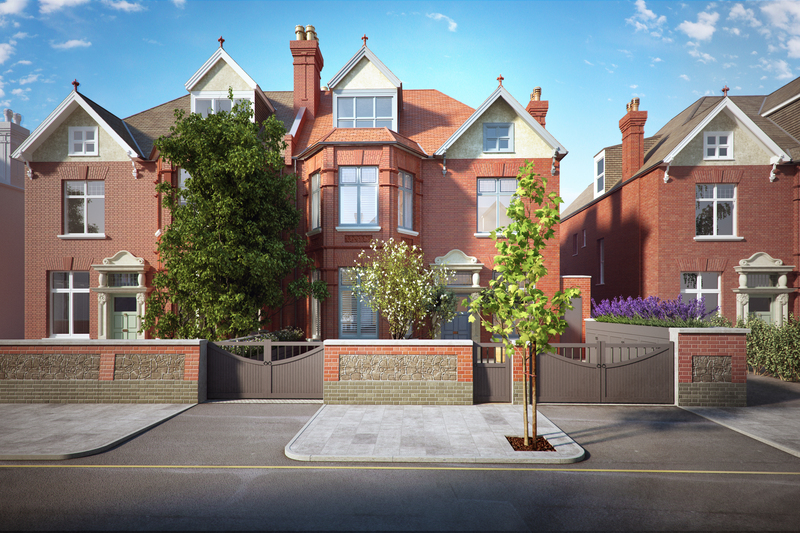 Over the past few years, we have found single images to be an invaluable tool not simply for planning application purposes, but very often for clients to be able to understand not only the spatial arrangements but also to become closely involved in the ‘feel’ of their projects when completed. With Harris Kalinka, we are able to explore with clients different materials, textures, colours, artificial lighting, effect of daylight and sunlight at different times of day, furniture choices, etc. Bearing in mind the fine detail and accuracy to which they work, coupled with their fast turnaround times, we consider their charges to be reasonable and never hesitate to recommend them to clients. And animations? The cherry on the cake.